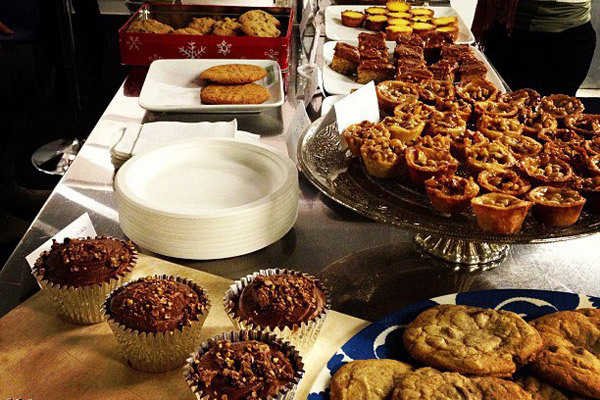 Fenton New York kicked off the giving season with a Giving Tuesday Bake Sale to support the Ali Forney Day Center, a drop-in center for homeless LGBTQ youth that was destroyed during Hurricane Sandy. Our 30-person team came together to bake delicious treats, work the counter, and promote the event on all 14 floors of our building. By the end of the day, we raised over $1,000 to help the Ali Forney Center rebuild. Fenton helped our client the UN Foundation launch Giving Tuesday, a new national day of giving (à la Black Friday and Cyber Monday) that took place on November 27th. Our New York team decided to participate in Giving Tuesday by raising money for victims of Hurricane Sandy. We chose to fundraise for the Ali Forney Day Center since thousands of vulnerable youth in our community depend on it for shelter, medical care, mental health assessments, meals, and other services. The Day Center is an entry point for homeless youth who then move onto transitional housing programs. When the center was devastated by Hurricane Sandy, thousands of kids lost a crucial lifeline. On the day of the Bake Sale, we provided customers with an array of exciting treats as well as a handout letting them know what else they could do to help the Ali Forney Center. We were inspired by the generosity of our neighbors in the building, many of whom paid $20 or more for a single cookie or brownie. The Bake Sale doubled as a Bake Off Competition, judged by three foodies on the Fenton team. Winning entries included banana curry cream pie, peppermint patty-stuffed brownies, and coffee flavored blondie bars. We look forward to making the Bake Sale an annual tradition.